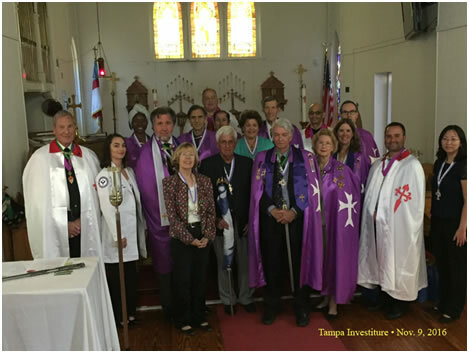 On November the 6th, at Tampa, Florida, the third investiture for this year was solemnly conducted for the postulants joining the Sacred Medical Order of the Knights of Hope, a very active Hospitaller chivalric organisation which is a fully fledged member of the United Grand Priories of the Hospitaller Order of Saint Lazarus of Jerusalem. The investiture was conducted by the head of the Order, H.E. the Chevalier Charles McWilliams and his team of grand officers. 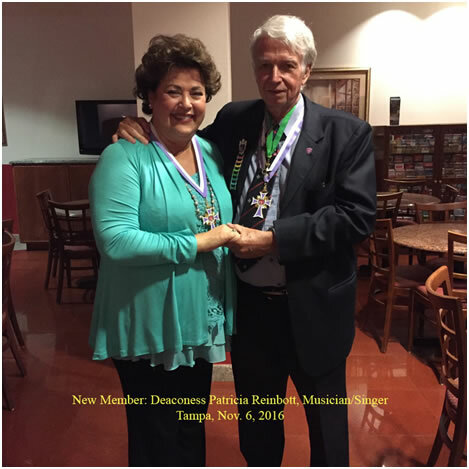 Patricia Reinbott, an active member of the Order, graced the investiture with her singing and music. The investiture also saw a number of members and officers of the various Grand Priories of the Order present. Chevalier Charles McWilliams also gave the members and postulants an update on the extensive preparations which are in progress related to the International Lazarite Congress which will be held in Nevis Island in June 2017.